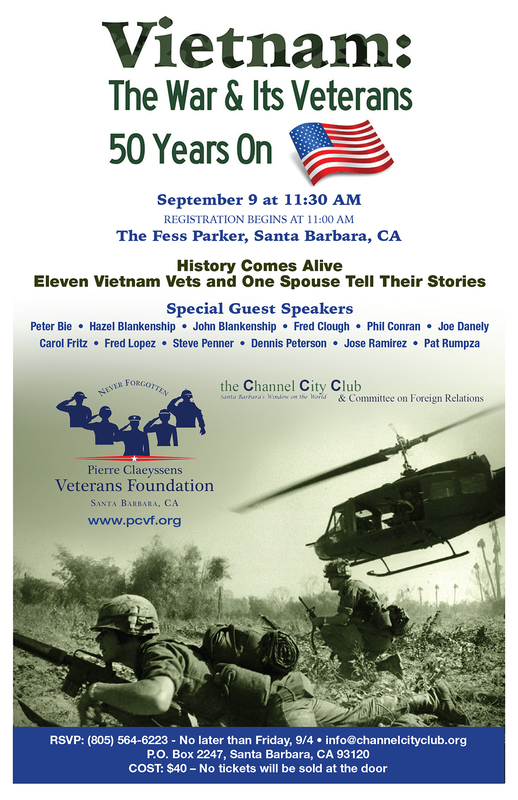 History comes alive at the luncheon and symposium featuring nine of Santa Barbara's Vietnam veterans telling personal stories, along with an encapsulation of the history of that war interspersed with music and films from and about the era. 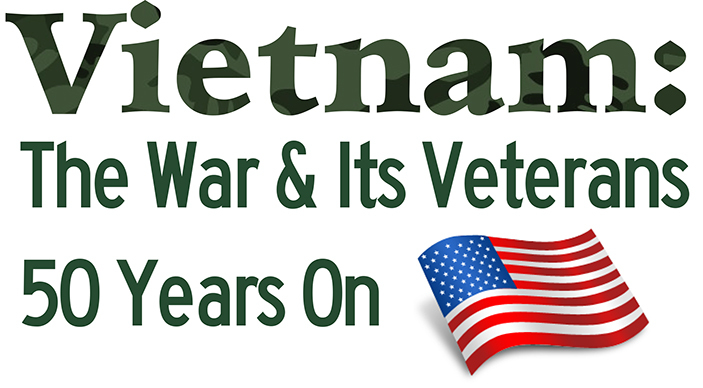 Local veterans in the presentation include: Peter Bie, John and Hazel Blankenship, Phil Conran, Joe Danely, Fred Lopez, Steve Penner, Dennis Peterson, Jose Ramirez, and Patricia Rumpza. Carol Fritz will also speak on behalf of her husband who served in the Coast Guard.